@JayJayasuriya: Did you know this about #GUINNESS? Did you know this about #GUINNESS? When you walk into a bar in Ireland you could shout across at the barman and ask for a pint of plain, the good stuff, your best or Irish Mother’s milk. Officially the most internationally recognized symbol of Ireland, Guinness is the most popular alcoholic drink in Ireland and in many other countries besides. Here are some of many interesting facts about the black stuff. 1. 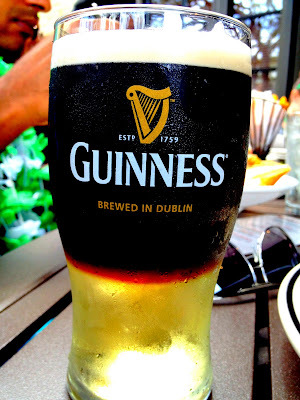 Pouring a glass or pint of Guinness is a skill. A “perfect pour” should take 199.50 seconds. This is the result of pour at an angle of 45 degrees followed by a rest. This is crucial. 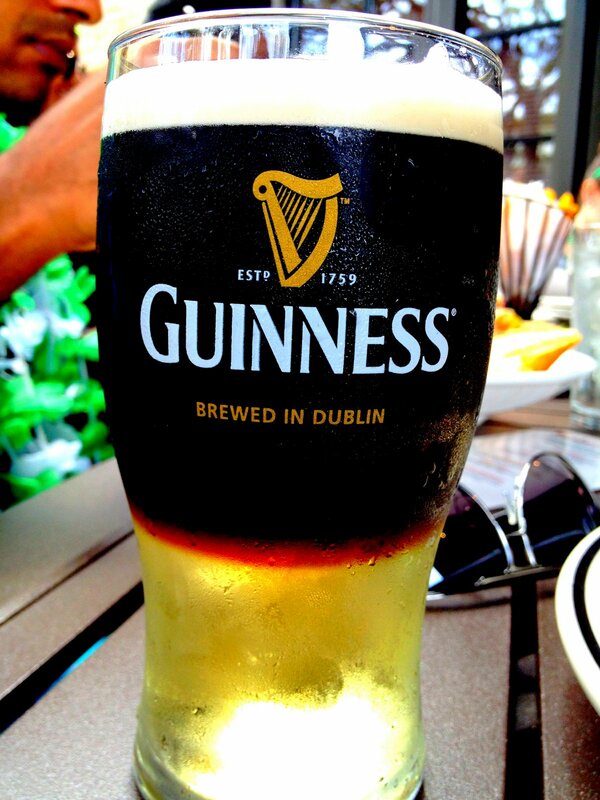 Most Irish people would cringe if they saw anyone pour it any other way. 2. It is a known fact that the Irish love to travel around the world but did you know that Guinness is brewed in more than 150 countries. These include Nigeria and Indonesia. 3. Though the Irish obviously love a pint of plain 40 percent of all Guinness is sold in Africa. Who would have thought that in such a hot climate it would go down so well! 4. Over 10 million glasses are sold every day. Are you doing your part? That’s quite a high quota to fill. 5. Guinness is the perfect diet drink. A pint of the good stuff contains only 198 calories. That’s less than most light beers, wine, orange juice or even low fat milk. 6. Guinness does not contain oatmeal, contrary to a popular myth. This wonderful stuff is made of roasted malted barley, hops, yeast, and water. Also it’s not black. It actually a very nice dark ruby red. 7. The famous advertisement slogan “Guinness is Good For You” is still used around the world. Though Guinness has now officially on the record as denying this claim some research does support that Guinness is good for your heart. 8. St. James’ Gate Brewery, in Dublin City was leased for 9000 years at an annual fee of about $65. In 1759 when Arthur Guinness was just starting out in the brewing business he had such confidence in his product that he knew his brewery would still be running in 9000 years time. Well that’s 251 years over with. I’m pretty sure Guinness will make it the next 8,750. 9. The Guinness breweries in Counties Louth and Kilkenny will be shutdown in 2013. There was also talk of closing down the Dublin brewery and moving back it to Leixlip, in Kildare, where Arthur’s career in stout making began. A national outcry ensued. Guinness will be staying put on the banks of the River Liffey and multi-billion renovations will begin soon. The time 17.59 was cleverly chosen as 1759 was the year that Arthur signed his lease on St. James’ Gate. It also gave most people enough time to finish up work and meet their friends at their favorite pub.